Some of the most powerful features of marketing automation software are in the category of lead nurturing. To give a simple example – once you download a white paper (or register for an online event) marketing automation software can be configured to recommend another piece of related content. By encouraging the user to take the next step you can nurture the prospect, cultivating a relationship with them until they are ready to engage in a buying cycle. 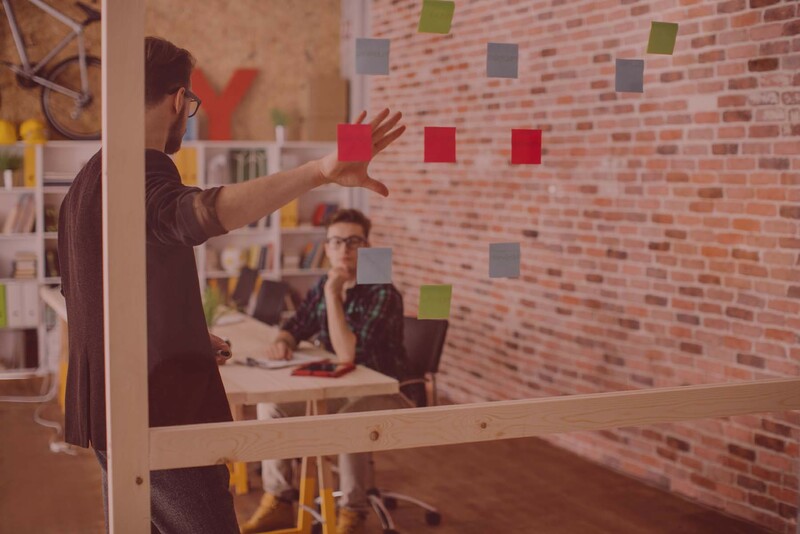 The challenge is that today’s marketing automation software makes it difficult for administrators to optimize these personalized recommendations. Usually administrators will have to configure business rules in the software to recommend a piece of content on the same (or closely related) subject. For example, if you register for a webinar on “B2B Marketing with Facebook” an administrator might program the software to recommend downloading a white paper on marketing via Facebook. This sounds logical. However, this may not necessarily be the best next step for the user. And it is not really based upon any data analysis. It assumes that the user’s interests are limited to one subject – Marketing on Facebook. In reality users are much more complex. These preconfigured rules are really just guesses. What we need is the software to automatically offer personalized recommendations based upon actual statistical analysis of data – the same way Amazon does. 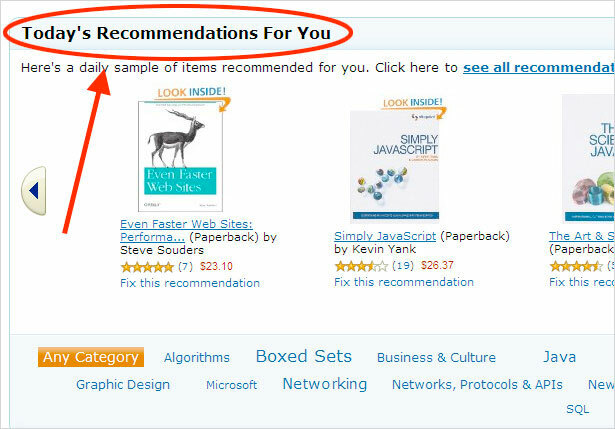 Amazon’s recommendation engine was originally focused on recommending tiny variations from previous purchases. If you purchased a book about raising a child, the next recommendation was another book about parenting. But many shoppers might ask – why do I need two books on parenting? I just added one to my shopping cart, which I would prefer to read before deciding on whether I need a second one. This preconfigured rules strategy at Amazon (which some have compared to shopping with the village idiot) was short-lived. Amazon then shifted its strategy to build an algorithm that analyzed massive amounts of data to understand the actual, real-world relationships between purchasing patterns on their sites. As it turns out, shoppers who buy parenting books also purchase corkscrews and cordless screwdrivers far more frequently than they do other books on parenting. What do corkscrews and cordless screwdrivers have to do with raising a child? It doesn’t matter and I just made up this example. In the world of big data it doesn’t matter that we understand the underlying reasons behind the correlations in the data, but rather just what the correlations are. So back to our example above – If you analyzed the 1000 users that attended the Facebook marketing webinar you might find that only 5% also downloaded a white paper on the same topic. Why is the rate so low? Perhaps, the format is the issue. People that listen to webinars (or podcasts, videos) don’t like to read white papers (or e-books, brochures). Or perhaps the webinar was effective in answering their questions about Facebook marketing. So there was no need to obtain any additional content. Perhaps it has to do with the lunar cycle of the month during which the webinar was held. It doesn’t really matter why. What does matter is that the data also revealed that 18% of those who attended the webinar also downloaded an e-book on Search Engine Optimization (SEO) and 12% also attended a webinar on B2B marketing via Pinterest. So when recommending the next steps to your prospects who attended the Facebook webinar your odds of success are 3.5X higher if you recommend the SEO e-book instead of the Facebook white paper. Your odds of success are 2.5X higher if you recommend attending the Pinterest white paper. Sounds good, right? The problem is that today’s marketing automation software doesn’t automatically make these types of recommendations. Administrators have to run custom reports and queries to identify these patterns. And administrators may not even know the types of correlations to look for. Think back to my fictitious example above. Would you have expected a correlation between cordless screwdrivers and parenting books? Ideally, the marketing automation software vendors would build these types of algorithms into their offerings. Personalized recommendations could be offered to prospects based upon statistical analysis of data. The software would learn from its successes and its mistakes as it continually optimizes the algorithm. And the algorithm would be intelligent enough to make recommendations based upon not only statistics across the entire user base, but also your own personal behavioral intelligence. For example, the algorithm might choose to recommend the Pinterest webinar over the SEO white paper to you, because it notices that over the past three years you have attended six webinars but never once downloaded a white paper.